Thanksgiving Day is known for its cozy gatherings, family traditions, and of course, its delicious feasts! Although many of us look forward to the roasted turkey, breaded stuffing, and marshmallow sweet potatoes, it’s easy to forget how these favorite family recipes affect our teeth and gums. Practicing good oral hygiene, especially during the holidays, is essential to keeping your smile bright and also helping you avoid dental issues in the new year. Here are some easy-to-follow dental tips to ensure that one of the things you’re always thankful for is a healthy smile. Keep Floss Handy: For some families, Thanksgiving feast is an all day event, from yummy appetizers and the main course to desserts and late-night leftovers. To protect your teeth from food getting stuck in-between, floss each time after you eat to remove plaque buildup. Say Goodbye to Sticky Sweets: Cranberry sauce, gravy, and mouthwatering pecan pie—classic holiday dishes that all have one thing in common…they are terrible for your teeth. The truth hurts, but by avoiding these sticky, sugary sweets, you’ll prevent harmful bacteria that causes tooth decay. If you must indulge in a tiny bit of sweets, be sure to rinse your mouth out with water afterwards to remove sugar and prevent it from sticking to your teeth and gums. 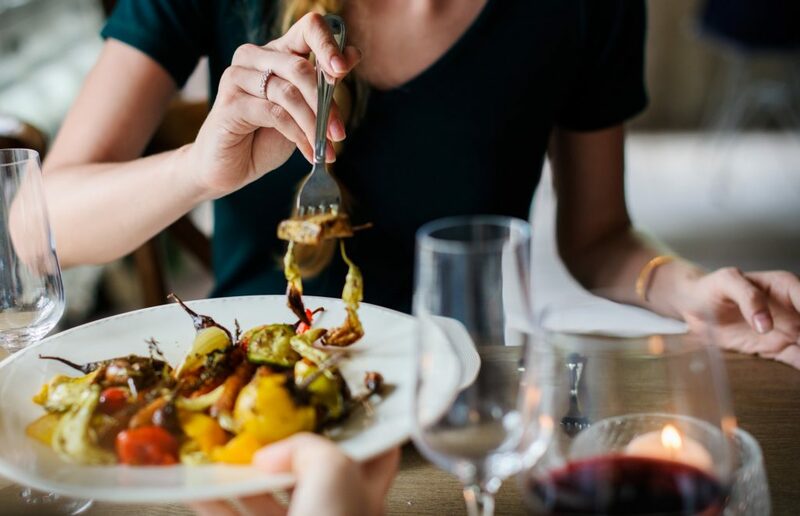 Fill Up on Protein: We all love comfort food, but unfortunately, starchy side dishes, such as stuffing or dinner rolls, can be harmful to your oral health. Similar to sugar, starch sticks to your teeth and helps feed acid-producing bacteria that causes cavities. Instead of loading up on mom’s famous mashed potatoes, fill your plate with turkey and vegetables and be sure to limit the gravy sauce. Avoid Wine for Dinner: The acid in wine will not only stain your teeth, but it will also weaken your tooth’s enamel. Enamel plays a vital role in protecting our teeth from decay, and once it’s gone, it’s gone for good. Therefore, it’s important that we do our very best to protect it by avoiding foods and beverages that are high in acidity. Aside from following these simple steps to protect your teeth and gums this Thanksgiving holiday, it’s also a great idea to schedule an appointment with your Apple Valley dentist for a checkup and cleaning. At Dakota Dental, we’re dedicated to educating our patients on the importance of good oral hygiene and helping them achieve a perfect smile with advanced dentistry services. Contact us today to learn more and let us help you with taking care of your teeth now and for the future. From all of us at Dakota Dental, we wish you a fun, safe, and happy Thanksgiving holiday!